Provided development consulting services to a community-based health center seeking to develop several schemes for a new and renovated 40,000 square foot facility on a Boston city-owned parcel near Roxbury Crossing. Prepared development pro formas and cash flow analyses for alternative development programs; researched and secured financial commitments and funding sources; developed approval process strategy with the Boston Redevelopment Authority. Negotiated lease with Northeastern University for a 30,000 square foot lease for three floors in Renaissance Park office building. Prepared Capital Improvement Plan application. Directed architect and contractor selection for Center. Negotiated architect and construction contracts. Coordinated design on behalf of Center with the design team. Represented the Center at all construction job meetings with the architect, contractor and building landlord. Provided on-site construction monitoring, reviewed and negotiated all Change Order Requests. Coordinated furniture and equipment (FF&E) installation, including radiology and dental equipment. 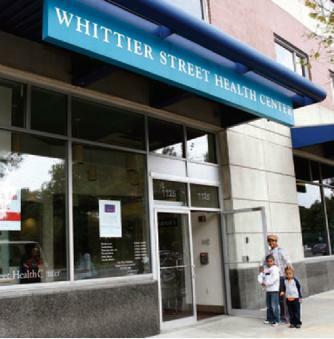 Assisted Center with move from original building, and provided post-occupancy services. Provided project management and owner’s representation services for a new campus for a small, specialized college of Jewish Studies. Responsible for managing permitting, design, and construction of 72,000 sq. ft. campus. The $16 million multi-building campus on a sloping site consists of an entry pavilion, a 120,000-volume library, a classroom and faculty building, and a below-ground student center. Coordinated master planning and infrastructure to allow for a second phase to double the campus size. Project also included the design and installation of a new municipal water pumping station and an extensive site drainage system. Provided services for architect and contractor selection, construction administration, scheduling, neighborhood liaison. Coordinated furnishings selections and move from former location. 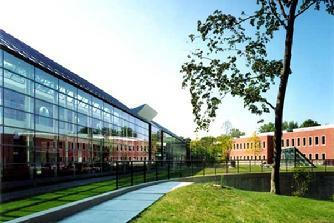 Negotiated for the College's new site in Newton, and supervisory responsibility for the process of selling the College's former land and building in Brookline, MA. As Director of Development for the John Drew Company, managed development of multi-building, $500 million, 1,700,000 square foot mixed-use office and hotel complex adjacent to the then existing World Trade Center building at Commonwealth Pier, including a 2500-car underground parking garage. Organized the architect competition and selection process, and engaged the environmental consulting team. Responsible for securing numerous and complicated state and city (BRA) approvals, working with over 20 different public agencies. Responsible for the production and submission of the Environmental Impact Report to the Commonwealth, and the Environmental Project Report (Art. 80 process) to the Boston Redevelopment Authority. Obtained all necessary environmental and zoning approvals. Assisted with the negotiation of a ground lease with Massport. Coordinated a multi-disciplinary environmental planning and design team. Kaufman & Arnold managed the multi-story office and research facilities fit-out for the Slone Epidemiology Center, part of Boston University Schools of Medicine and Public Health. K&A is currently managing a significant renovation project for Congregation Beth El in Newton, and provided similar services for a major expansion to Temple Emunah in Lexington, MA.